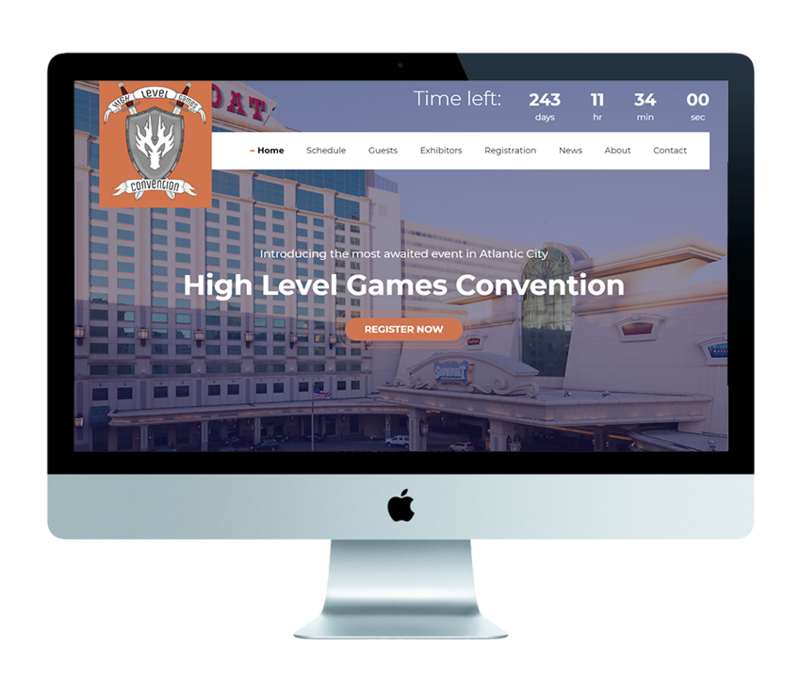 High Level Games came to us because they wanted to create a brand new gaming conference experience with some extensive functionality. 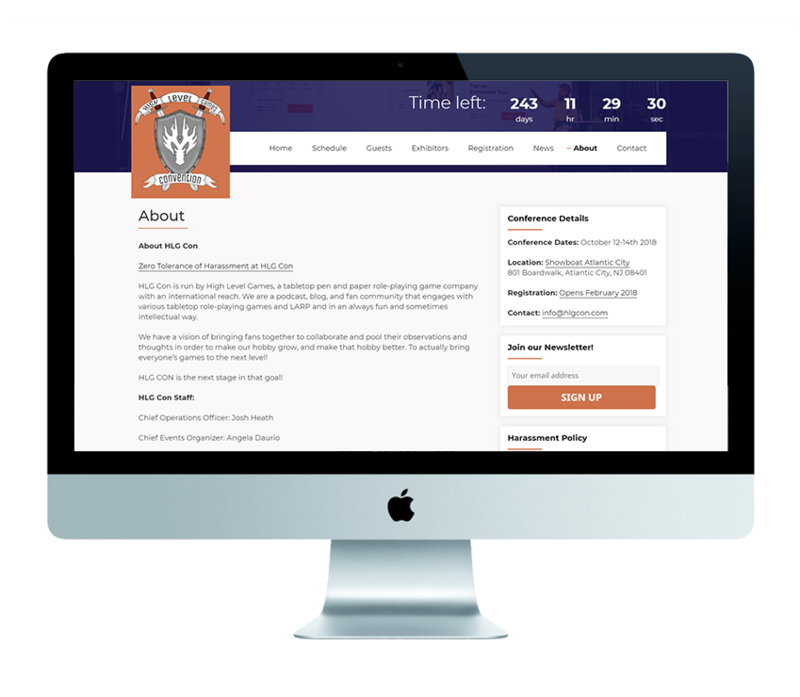 They wanted to accept secure event registrations online, provide tickets to their attendees, and a high end design that would encourage gamers to attend. We went above and beyond for High Level Games, not only providig them with a fresh design that was easy for them to make edits to, but secure e-commerce registrations, ticket printing for their attendees, and we set up a scanning app for staff to be able to scan tickets at the door for easy festival organization.